Casela Nature Park is one of the most Attractive Place to visit in Mauritius, while you are on your Mauritius tour Package, it could be your Honeymoon or family package but you are definitely going to enjoy a lot in this adventure Park. Casela adventure Park is situated in the west coast of the Mauritius Island, near flic enFlac. The Park spread over 250 hectares and offers you variety of activities like zip lines, canyoning, animal enclosures, walk with lions and quad-bike safaris. You can spend even Full Day in the Park as it has lots of things for you. New Delhi, Sep 24: Tourist footfalls from the US to India has grown from 14.57 million in 2016 to 15.54 million in 2017 and receipts increased from $22.42 billion to $27.36 billion. A total of 1,323 million international tourist arrivals recorded in destinations around the world in 2017, with India leading the growth in the South Asian region, according to data from the UN's tourism organisation. Indeed, this is good news for India because tourism is one of the mainstays of the economy. In fact, almost 300 leading tour operators from across the globe will be in capital later this month to participate in an event that focuses on marketing India as a destination. Port Louis is the political, economic and administrative center and capital of Mauritius Island, It is the most populous city in Mauritius, and also has many things that attract the tourist on their Mauritius Holiday Package. Port Louis is situated in the west coast of the Island and is the main city for shopping, for enjoying local foodand collecting souvenirs. Below are some Places to visit in Port Louis that will definitely make your Mauritius HolidayMemorable. Caudan water front is the place which is famous for shopping, restaurants, casinos,cinemas, museumsand tourist love this area being a lot tax free shops available here. Craft Market is one of the main market from where you can purchase best souvenirs for your friends and family members from your Mauritius tour Package. If it is Honeymoon, the first choice of most of the Indians will be Mauritius as it is much budget friendly for all and has kept unlimited scenic beauty. Mauritius Honeymoon Packages are mostly in demand not only in the wedding season but round the year. Here couples can enjoy the Local Tours like North Tour, South Tour and Tour to Isle aux cerfs, and apart from these tours Mauritius catamaran Cruise Tour is also one of the most famous tour among all tourists. Here today we will discuss about the catamaran Cruise which will make your Mauritius Holiday Package, A life time Memory. The different varieties of Catamaran Cruises are available in Mauritius, with Different departing Points. It is also famous for its Fantastic Shopping malls, where The Dubai Mall is world Largest Shopping Mall in Area. Dubai is also famous for the Gold, which is found here in its much better purity and quality. Dubai has a number of Attractions to visit for the Traveler, in there Dubai Holiday Package. Book Your Dubai Package from Rocking Trips and get great deals in Prices. It is also all time Favorite destination for honeymooners. Do Not Miss some of the below Attractions when you are enjoying your Dubai Honeymoon Package, like Burj Khalifa, Desert Safari, Dhow Cruise, Dubai Mall, Global Village, aqua venture and Lost Chambers in Atlantis and Miracle garden. Abu Dhabi city Tour and Ferrari World is one of the Major Tour for youngsters and Adventure lovers. Mauritius Tour Packages Mauritius is the tiny Pearl Situated in the laps of Indian Ocean. Mauritius is one of the favorite destination for Honeymoon couples, and is widely loved for its turquoise water beaches. RockingTrips, India's Fastest Growing Travel Company, was started with a small dedicated team of three friends, and now the company has stretched its branches from Kashmir to Kerala and was well established in 2015 with expert travel consultants. RockingTrips.com is based in Delhi, India. It is started to promote Tourism, to make people happy, and enjoy their happy moments. 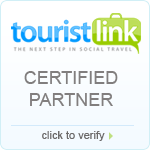 RockingTrips.com is a certified Travel company with a Customer satisfaction rating of 91%. Rocking Trips serves the worldwide customers, and is one of the best travel companies for all the domestic destinations, as well as international like Bali, Singapore, Malaysia, Thailand, Hong Kong, Dubai, Mauritius, Maldives, Australia, New Zealand, Europe and much more.